Thousands of jobs will be created in our area over the next decade but in Washington County around 40% will be low wage jobs. 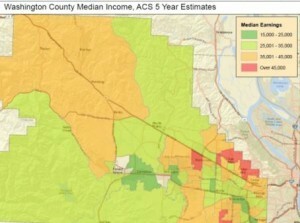 Historically, Washington County has always had about 40% of its jobs qualify as low wage. But with the projected employment boom that piece of the pie will be a much bigger number. That’s why the county is already planning to head off the potential housing crisis.